As a hard of hearing (HOH) mother of three, I can become frustrated with not hearing my children’s voices well. And I am not alone. 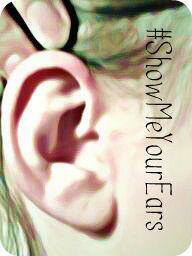 According to the Deafness Research Foundation, 17 percent of American adults report some degree of hearing loss. Many are parents or grandparents. Among them is Mary Butler of Tennessee, a hard of hearing mother of a 9 month-old child. Because of the challenges of understanding a child’s delicate voice, Butler said she would think twice before watching other people’s children. In a perfect world, all children would come with captioning devices attached to them so hard of hearing folks could understand their words. Until that day, these communication and technology strategies may help. Susan Baird of Ontario has lived with hearing loss since age 13. Her son, who lives at home, is also has hearing loss. Because her kids become frustrated with repeating things, she asks them to tap her shoulder and clearly say “Mom” first. She then makes eye contact, and they begin speaking. “I tell them always to face me when talking, be close to me when talking and talk slowly to me,” Baird said. If it is an important conversation topic, Baird takes them to a quiet room to talk so that she and the kids can pay attention. “Sometimes if they don’t do these things, I just don’t answer as I have only heard part of the story,” she said. Hearing our children when in another room of the house is challenging if not impossible for HOH adults. In addition to wearing hearing aids or cochlear implants, some parents and grandparents rely on hearing assistive technologies. To hear her baby’s middle-of-the-night cries, Butler initially opted for the AlertMaster wireless notification system, which flashed a connected lamp and shook her bed to alert her. One drawback was that her youngster had to wail loudly for several seconds for the monitor to be activated. She now uses a simple Fisher Price Lights and Sounds monitor that features illuminated red dots as the crying intensifies. As a back-up, Butler sleeps with her hearing aids on. While the hearing aids are uncomfortable to wear while sleeping, she insists that they are crucial in alerting her to her baby’s sobs. Vibrating and strobe-flashing monitors can be programmed to alert a parent or grandparent of noise coming from a child’s room. A video monitor is another option, but only for daytime use as there is no guarantee of it waking up a HOH person in the middle of the night. A frequency modulated (FM) system can assist with hearing a child in a noisy car or restaurant. The HOH adult attaches a FM system loop to hearing aids, and the child wears a microphone receiver. The child’s voice is transmitted directly to the adult’s aids via the FM system. Portis began losing her hearing after the birth of a son. Her daughter was barely a year old. To teach such young children how to communicate with her, Portis devised age-appropriate games. The “Guess What? Face” game became popular as the kids grew older. Portis would run over to them and in an excited voice say, “I’ve got my Guess What? Face on!” Then, kneeling at eye level and with her hands on their cheeks, she would tell them something. Sometimes a parent or grandparent with hearing loss needs a hearing rest. Whether it is a nap or a few minutes of quiet time, we should encourage children to accommodate us in our need for minimal noise. As our children grow, there is much we can teach them about hearing loss. Besides facing us when they talk, kids should be educated about good speech habits, such as enunciating words, speaking slowly, and standing no more than a few feet away when talking to an adult with hearing loss. Ask the child to turn off any toys or music before speaking, since both create background noise. When your kids are in the backseat while you are driving a car, ask them to wait until you are at a stoplight to communicate with you, if at all possible. Try not to respond to comments from children unless the car is stopped. The FM system hearing device (mentioned above) may help with hearing their voices. In other situations, respond to a child’s question or comment only if he or she is facing you. Eventually, the child will understand the importance of eye contact in communicating with a HOH person. GATS! How on Earth Do You Lip Read Children? Danielle – I know it’s a challenge to understand children’s delicate voices clearly. Just remember that most kids are patient with repeating themselves multiple times, even more so than adults are. Your niece is very fortunate to have you for an aunt. I donâ€™t even know how I ended up here, but I thought this post was great. I do not know who you are but certainly you are going to a famous blogger if you are not already 😉 Cheers! What I find so inteserting is you could never find this anywhere else. Well done! As a Dad with Hearing Loss, I agree with your advice and comments. My son will be providing his perspective as a child of a parent with hearing loss. It should get posted today, if I can ever get him out of bed. Oh, he’s up now. Better put my cochlear implant on and give him todays “assignment”. Peter – Thank you for your comment. I would be interested in reading your son’s perspective about having a parent with hearing loss. Blessings to you! I completely agree with everything you’ve said! I request these things be done for me with my own family and friends. I am about to start my journey with hearing aids after about three years of progressive hearing loss and tinnitus. I am a substitute teacher. I sub almost every day in the same school. My husband and sons have been adjusting to my needs, yet I need to work on educating the students I work with about how they can help me do my job. Thank you for your advice. You have always been an inspiration to me, Shanna. Hi Jennifer! Thank you for commenting. If you would like to discuss further, please email me at lipreadingmom(at)gmail(dot)com. Blessings! I love the pic and totally identify with it – I CONSTANTLY pull my rearview mirror down to see what my kids are saying. I am a profoundly deaf homeschooling mom of three, have been wearing hearing aids most of my life, and often felt SOOOO alone in the uphill struggle to hear my kids. My exhaustion with lipreading led me to investigate a CI, had my first one 1 year ago, and it has been incredibly helpful! Still pull the rear view mirror down to see my kids talk though LOL!! Wish I had found your blog years ago!